Cart abandonment is a huge issue for all online retailers, with the latest research finding that more than 75% of shoppers add items to their shopping carts without completing a purchase. One of the world’s leading communication brands, BT, already had an in-house cart recovery solution in place. However, they felt they could engage more of these would-be customers and encourage them to complete their order. 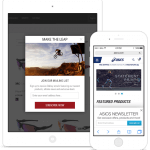 Working with Affiliate Window, a mutual partner, SaleCycle has provided BT with best-in-class cart abandonment email campaigns. 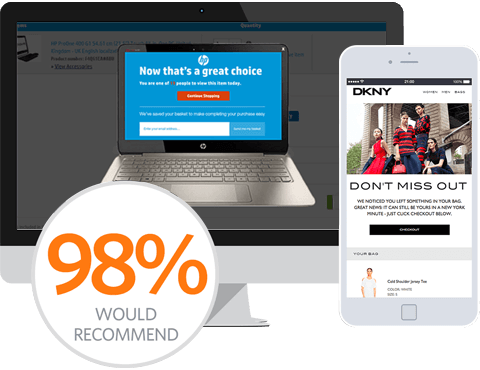 By implementing dynamic segmentation for remarketing campaigns BT can personalize emails based on browser interest without lifting a finger. As well as using segmentation, BT ensures as many orders as possible are recovered with a multi-cycle email remarketing campaign. The first email is delivered one hour after abandonment to remind browsers of BT’s services, while their interest is strongest. A follow-up email is sent after 3 days to those people who hadn’t been persuaded by the first email, giving them a gentle nudge to buy. BT’s decision to replace their in-house solution has proven to be a smart move. 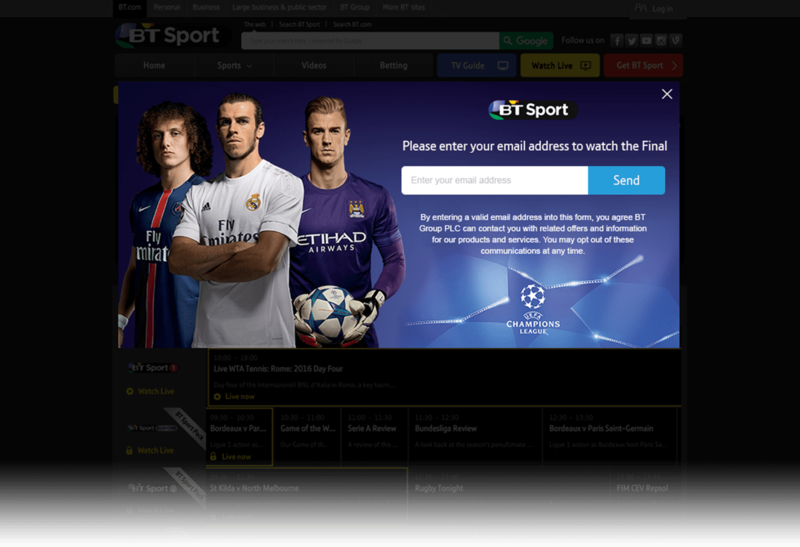 Using SaleCycle’s technology, BT are now targeting three times as many abandoners with their remarketing campaign. Cart abandonment emails are highly effective, with more than 52% of all emails opened and an impressive conversion from send rate of 5.3%. Since working with SaleCycle, BT’s onlines sales have increased by more than 13%. The SaleCycle service and ease of implementation has been excellent. SaleCycle takes a huge amount of work off my case. It works so well that I can just sit back and watch the sales come in, which makes me look great! I’d say to any business considering SaleCycle; just go for it, you won’t regret it. On-Site Email Acquisition	The start of a beautiful relationship.